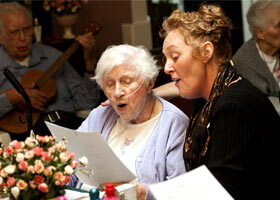 Selecting an Assisted Living Facility For Your Loved One ... A Guide. Assisted Living Facilities have come about as a result of the times - our population is aging, life expectancy is increasing, and families are no longer living as a extended family unit with three or more generations under one roof. Selecting an appropriate assisted living facility for your loved one is one of the most important decisions you will ever make. 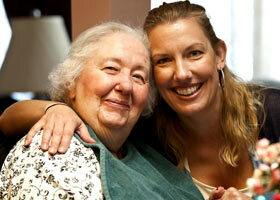 The proper facility will make the difference in the mental, social, and physical well-being of your loved one. With that thought in mind, we have put together the following guide and also the worksheet on the following page to assist you in choosing the home that is right or your loved one. Assisted Living Facilities are relatively new, having become popular in the 1980's to provide programs of personal care for senior citizens. Up until that time, most assisted care was provided by "nursing homes" and the idea of living out one's years in a "nursing home" was not looked upon happily. Assisted living facilities offer residents the personal care and assistance that they need when they need it, and also supports them in their continued independence and pursuit of personal interests. Assisted living, a part of long-term care, provides a combination of personal services, housing, housekeeping, and health care planned to address the needs of the individual who needs help with normal day-to-day activities, yet still allowing the individual to maintain a maximum level of independence. Assisted living may be found as part of acute care hospitals, integrated into skilled nursing facilities, part of retirement communities, or free-standing facilities. 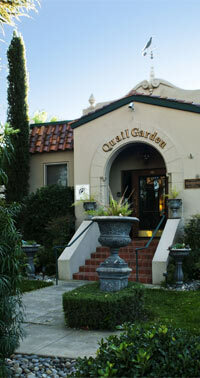 Quail Garden is a free-standing facility conveniently located in the heart of Livermore's "Old Southside'. This is a neighborhood that is familiar and comfortable to many of our residents. The building has maintained its original Spanish-Mediterranean architecture, and has been brought up to today's standards. 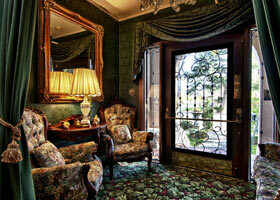 The interior has been completely refurbished with antiques that the residents may have grown up with. Every room is distinctively furnished with beautiful wall and window coverings, cheerful lighting, and accessories.